SMEs and entrepreneurs play a key role in national economies around the world, generating employment and income, contributing to innovation and knowledge diffusion, responding to new or niched demands and social needs, and enhancing social inclusion. 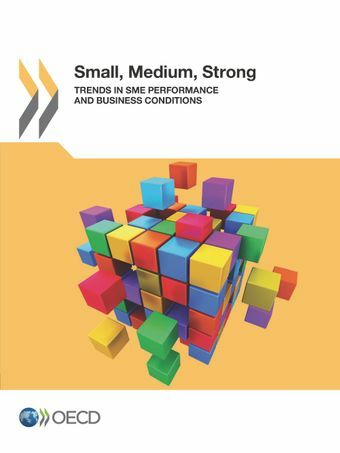 However, SMEs are often more affected by business environment conditions and structural policies than larger firms.This report presents comparative evidence on SME performance and trends, and on a broad range of policy areas and business environment conditions that are important for small businesses. The analysis takes into account the multi-dimensionality of SME policy objectives and the significant heterogeneity of the SME population, within and across countries. Data and indicators on framework conditions are complemented with information on recent policy trends in OECD countries. This publication addresses a growing demand by governments for tools to monitor the business environment for small and medium-sized enterprises, and benchmark the effectiveness of policies in creating appropriate conditions for them to flourish and grow.